Softcover, 212 pgs. 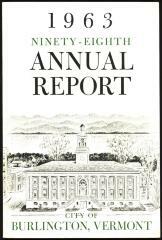 Front cover features a sketch of City Hall with Lake Champlain in background by Edward Sanborn. Use the form below to email this record to a colleague. The title, identifier, description and a low resolution media version will be included in the email.